Kiki-Jiki, Mirror Breaker at StarCityGames.com! Tap: Put a creature token into play that's a copy of target nonlegendary creature you control. That creature token has haste. Sacrifice it at end of turn. 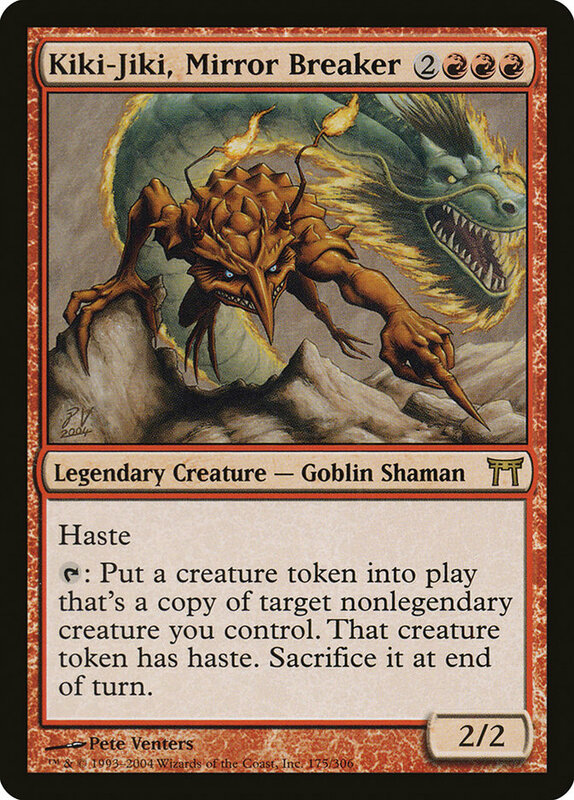 Tap: Create a token that's a copy of target nonlegendary creature you control, except it has haste. Sacrifice it at the beginning of the next end step.